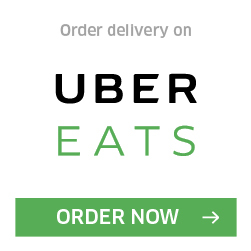 Don't wait, order from one of our partner platforms for fast delivery or pickup. Yaya Tea is a café specializing in freshly brewed tea through a purifier filtration system where premium tea leaves are brewed fresh daily. We take bubble tea to another level by adding various jellies or popping boba into our drinks that burst in your mouth. We serve unique imported snacks as well, mostly from Japan! We stand out amongst our competitors by serving handmade Onigiri, also known as a Riceball, which are only made to order. Onigiri is a popular Japanese snack that is convenient, handheld and delicious! It is served with our special Nori wrapping, also known as dried seaweed, which stays separate from the Riceball to remain crispy until it is ready to be eaten!